Oksana began rowing in her home town of Kattakurgan, Uzbekistan. The town had been lucky enough to host the Water-Sports National Team of USSR. In its preparation for the 1980 Olympic Games a small boathouse by an irrigation canal was built. Oksana’s friends and classmates brought her to the canal once after school for a tryout rowing practice when she was 13. Although she was enrolled full-time in an elite music school, she soon quit her musical school and violin classes in favor of rowing. (She still sometimes jokes about this choice: "sweep oar instead of violin.") Her sense of musical rhythm turned out to be very useful in rowing. During her junior years, she advanced in rowing and took top places in home meets and other local regattas. Her coach Vladimir Belgorodskiy, who developed hundreds of excellent rowers including the men’s 8+ of the 1996 Olympics in Atlanta, continually raised the bar for his athletes. 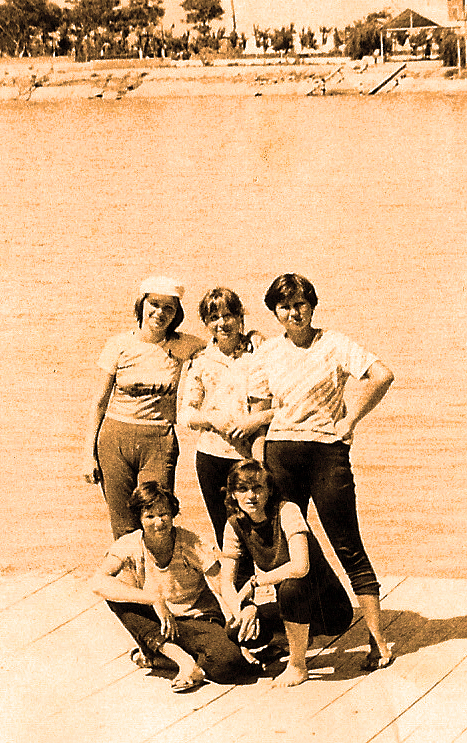 In the summer of 1981, Oksana went to her first training camp with her team to Riga, Latvia to prepare for an important all-USSR junior race in Trakai, Lithuania called Amber Oars (still exists to this day). Although the Kattakurgan crew lost in Riga, Oksana's four did well, placing 10th. Time passed, and many lineups changed but Oksana climbed the list of fastest athletes and remained in her 4+ stroke seat. In 1983 her four-crew won gold in the National High School Regatta of the USSR, which brought together athletes from all 15 Soviet Republics. This was only the beginning of many victories for this coxed four. Oksana is still good friends with Alla Ilchenko, who rowed seat #3 supporting Oksana's back. The head coach of the national team decided to make an eight out of their four and Oksana (seat #8), won her first international gold medal at the next Amber Oars. During those years she was away from home for nine months of each year. She was with her team in Estonia, Latvia, Lithuania, Moscow, Saint-Petersburg, and Crimea. Although the national team of Uzbekistan didn't go overseas, she traveled to all 15 USSR republics, which are now all different countries. Oksana always traveled with two big bags: she had books in one and her crew gear in the other. 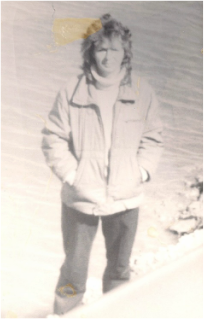 In 1987, she graduated from Samarkand State University with a bachelor’s degree in physical education, and began her career as a coach. Over six years of working with a newly recruited national team, Oksana developed a new generation of national rowers and was accepted into the school of the Olympic Reserve located in Tashkent, Uzbekistan. In 1998, her athletes won a series of medals in the Asian Junior Championship in Seoul, Korea: 8 gold, 1 silver, and 2 bronze. After this event, she became head coach of the Olympic Reserve. Her team began participating in international competitions: Asian championships, as well as fully global ones in Italy, France, Japan, South Korea, India, Switzerland, Turkey, and other countries. When she moved to the U.S. in 2005, Oksana began a new period in her coaching career. She worked as a personal trainer for a time, before deciding to return to crew as a coach for Nereid BC in East Rutherford, NJ. 2010 was a successful year for Oksana and her team. Her girls’ team won silver and gold in some of the most competitive regattas in the country, including the Stotesbury Cup, the Independence Day regatta, and the Youth Regatta in Philadelphia. From 2011 to 2015, Oksana coached at River Rowing Association in Nyack, NY. Four years of her coaching for RRA brought high results. • Qualifying 6 boats to the 2015 Youth Nationals in Sarasota, FL; 4 boats made it to Finals. This is the most boats the RRA has ever qualified for Nationals. • 2014 Head of the Charles Regatta, where the performance of her junior girls’ 4+ boat guaranteed a slot in the 2015 regatta. This was also a first in RRA history at the Head of the Charles Regatta. • Qualifying 3 boats to the 2014 Youth Nationals in Sacramento, CA; all three boats made it to Finals.